If your asian like me, then you probably love anything green tea/matcha flavoured. If you haven't tried anything green tea flavoured before, your missing out. There YUM! Unlike the bitter taste you get with drinking green tea, most green tea foods are sweet and match flavoured (sweetened green tea). This weekend I dabbled into my cookery side and made some green tea cupcakes. I followed the Hummingbird recipe but adjusted it to match green tea powder instead of green tea teabags. Step 2: Place all the ingredients into a mixing bowl. Remember to sieve all powders and flour. 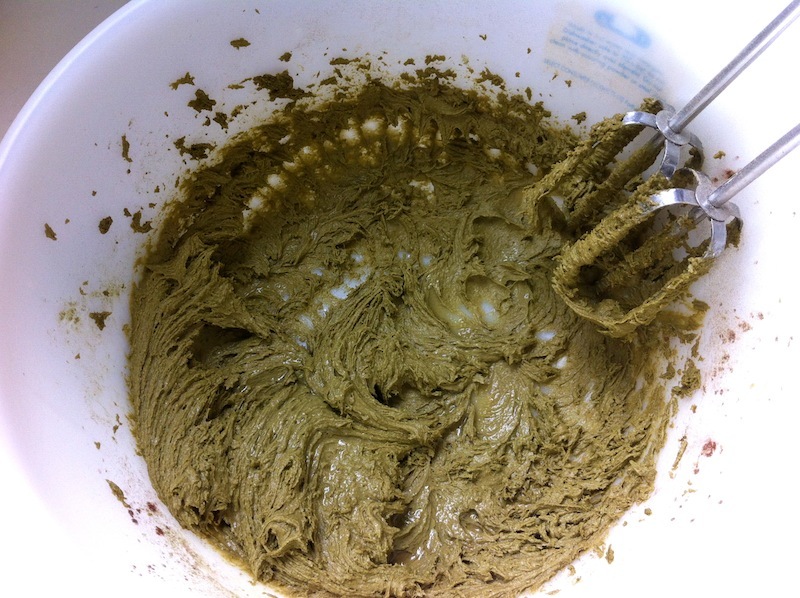 Whisk away until mixture turns into a smooth texture. 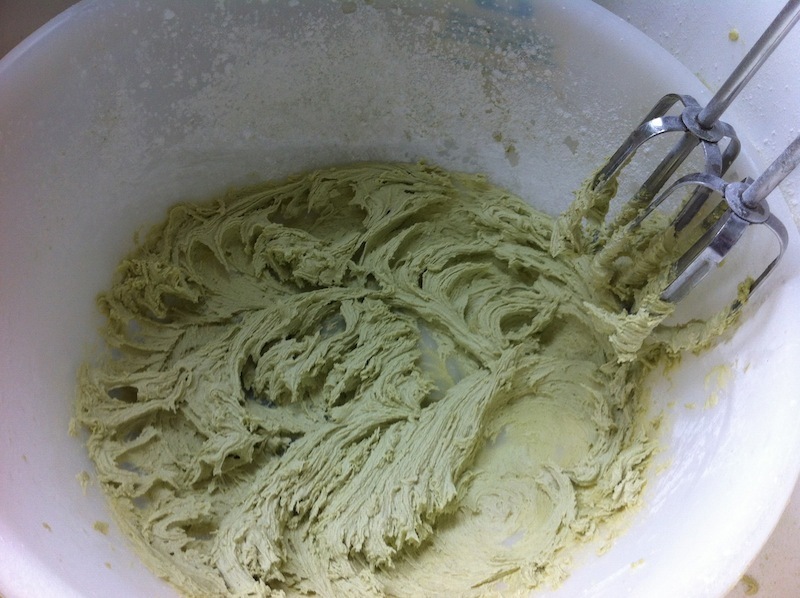 Once finished I added some green tea colouring to make the mixture look more appealing. Whilst your cakes are baking, prepare your buttercream. Step 1: Place all ingredients into a missing bowl and whisk away. 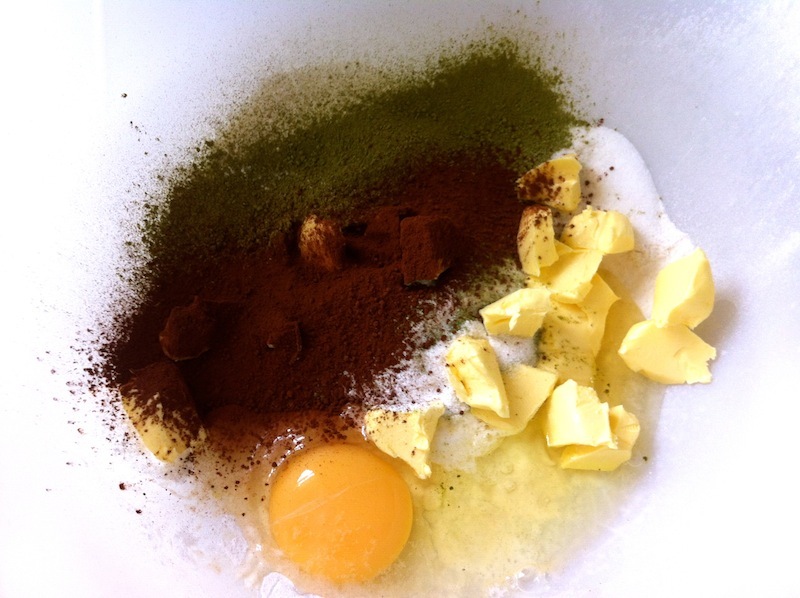 Stop when your mixture is smooth but do not over whisk. If you find the mixture is staying dry and not binding together at all, add a few drops of milk. I also added a drop of green food colouring to make them look more pretty. Step 2: Place the mixture into a piping bag. Step 3: Remove the cakes from the oven and leave to fully cool. Final step is optional, I sieved small amounts of green tea powder on top for extra taste! The cupcakes look so delicious ^^ i have to try this someday! These look awesome, they'd also be something a bit different for St Patrick's Day! mmmmm!! i love green tea but i havent tried green tea cake before!! looks so delicious! wow, it looks sooo good!!! i'm not asian but i love green tea ^_^ thank for recipe~! OKAY I WANT SOME RIGHT NOW. those green tea cupcakes look so awesome!!! i'm looking forward to making them! can't wait for the red velvet cupcakes! Mmm, sounds and looks so good! These look great! My local Caffè makes Matcha Latte and I'm hooked! Where do you buy your Matcha powder from? I am a big time foodie and this looks yummy Sluurrrppp. Will ask my wife to try this recipe. Thanks for sharing. It's looks very delicious . I have ordered some fresh green tea so definitely try out with this cupcake. I have been eyeing these cupcakes for about three months now. They are so pretty and they particularly caught my attention because of the adzuki bean paste. I finally got my green tea powder in hand after months of searching and am getting ready to try it! Did I say that I am so excited already? Thank you for the inspiration and recipe. So, if you buy a green tea powder sourced from some other part of the world, then it is not a ceremonial grade matcha powder. awesome dish you explained it very well thanks.